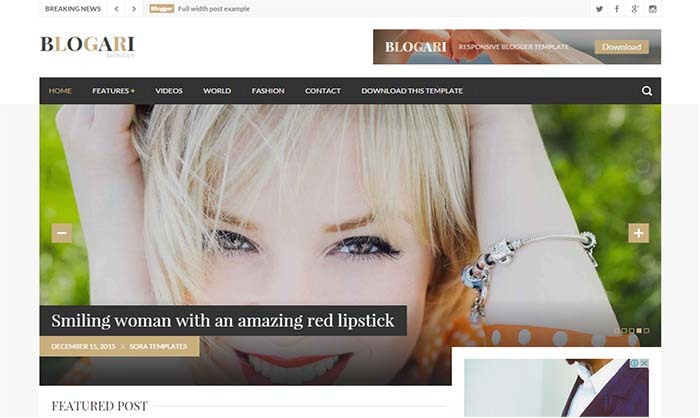 Blogari Blogger Template is a very simplistic yet professional high quality theme for Blogger. It offers a highly optimized design for faster browsing, better search engine rankings, and super easy customization. Blogari is a Blogger theme meant for the needs of every passionate blogger. The quality images, clean design and subtle color scheme is chosen with the purpose of making the content really stand out. If you’re looking for a beautiful looking Minimalist or SEO Friendly Blogger theme then this is one of the best choice for you and you can easily grow your blog more by using this awesome theme.